To apply for financial aid, students must complete the Free Application for Federal Student Aid (FAFSA) online at fafsa.gov. 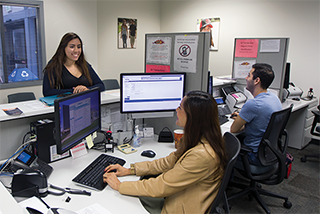 The FAFSA is used to determine eligibility for all state and federal financial aid, including the California College Promise Grant (formerly known as the BOG Fee Waiver). AB540 students can complete the California Dream App. Both applications open October 1 each year; students should apply before March 2 to meet state Cal Grant, IVC Foundation scholarship and priority funding deadlines. Student Success Completion Grant (SSCG): A state funded grant program for full-time community college students already receiving a Cal Grant.